1st Click "Add to cart" and provide your zip code so we can give you shipping quotes. 2nd Select your desired shipping options to and from our repair faciltiy. 3rd Provide your contact information and problem description. 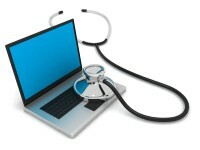 365LaptopRepair.com will provide you with a basic diagnostic based on your problem description. We have experience with 99% of laptop failures. We will narrow down the problem to the possible defective parts and give you a projected cost to repair your laptop. This service is free if we perform the repair, however there is a $49 diagnostic fee should you choose to not have your computer repaired by us. Our two locations serve the Los Angels Area: Venice Beach and Hawthorne. Our Mail-In Repair services the laptops from all over the world! We know how important your laptop is to you. Many of our services can be done in one day so you can get back to work quicker! We are so confident in the quality of our work that we offer a 6 month warranty on all repairs.